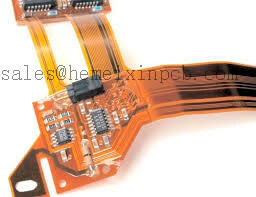 Product categories of Polyimide Pcb Assembly, we are specialized manufacturers from China, Polyimide Flexible PCB Assembly, Kapton Film PCB Assembly suppliers/factory, wholesale high-quality products of Polyimide Film PCB Assembly R & D and manufacturing, we have the perfect after-sales service and technical support. Look forward to your cooperation! Flexible Polyimide materials used in the fabrication of flexible and Rigid-flex Circuits are hydroscopic up to 2-3% by weight and as such require a thorough pre-bake to eliminate all moisture prior to any Polyimide Pcb Assembly process. This is an inherent property of the materials and is independent of the manufacturer and or the brand of polyimide materials used.